Broadcasting on Radio in Guinea VOICE OF THE REVOLUTION on the 6th of March 1966, Nkrumah declared: “They cannot destroy what we have taken years to build. For what we have achieved is built on rock foundations and is indestructible”. Nkrumah had gone to settle in Guinea after the senseless 1966 coup, on the invitation of Comrade Sekou Toure and the Democratic Party of Guinea. In his welcome speech on the 2nd of March 1966 when Nkrumah touched down in Guinea, Sekou Toure declared his intention to vacate his position for Nkrumah to take over. He accepted only to become co-president of Guinea unprecedented in the annals of world politics. He operated from Guinea and Guinea became the new Mecca for the freedom fighters, progressive forces and leaders of black power struggle in America and the Caribbean region. President Sekuo Toure and his PDG, consulted him on all issues. Sekou Toure declared Nkrumah A UNIVERSAL MAN and described him as the Greatest African after his death. Why the Americans were so anxious for Nkrumah to leave Accra is another critical issue noteworthy. Foreign Minister Quaison Sackey received an urgent message from the Ghanaian ambassador in Washington that President Johnson, had given assurance to Nkrumah that America would stop the bombing of Hanoi to allow his aircraft to land safely. An African leader appointed to settle a major global dispute between the two super powers at the time. The plot to remove Nkrumah was at the completion point they only had to get him out of the country. The bottom line is that on the 24th day of February 1966, the government of the Convention People’s Party headed by Osagyefo, was overthrown in a military coup organised by foreign powers and forebears of the Npp. Many years after that senseless coup, the repercussions are still hitting us hard on our faces in Ghana and on the continent of Africa. Apart from the independence, Nkrumah did so much for this country including the schools, the hospitals, Tema Port, the motorway, the silos, the factories across the country, Tema township, human resource development. His political opponents rubbished his wonderful achievements and made several attempts to either remove him from office or kill him. There were several attempts on his life. He was accused of over borrowing and mismanaging the economy. Dr Tetteh Kofi who was one of the authorities on the cocoa industry, in one of his papers.”The elites and underdevelopment in Africa: The case of Ghana, showed how clueless Buaia and his friends were on matters of political and economic development. What happened in Ghana between 1966 and 1972 showed that Busia and his Oxford friends who constantly condemned Nkrumah’s government, had no idea how to run the country though Nkrumah had laid a solid foundation. Just like we witnessing under Akufo Addo, Busia had no choice but to fall back on Nkrumah’s ideas and policies, the very policies he vehemently condemned in opposition. President Akufo Addo ordered his appointees to remove pictures and plaques of John Mahama on all government properties including those he [Mahama] built. Pictures and plaques of John Mahama were replaced with that of Akufo Addo including projects the Npp said were Photoshop. Busia rushed to parliament and demanded for a certificate of urgency few hours after late Johnny Hansen has inaugurated his People’s Popular Party in Kumasi. Johnny and his party folks displayed pictures of Nkrumah and chanted Cpp slogans. The new legislation banned pubic display of Nkrumah’s pictures as well as the mention of his name in public. The NLM elements wickedly as the mother of Nkrumah who was in her eighty’s to say Nkrumah was not her son and was dragged to a bogus commission established by the coup makers and questioned whether Osagyefo was her son. We are witnessing same treatment being meted out to John Mahama. They challenged every policy and project Nkrumah implemented including the Tema Harbour, the schools, the roads, railways etc. In 1971, Busia announced that there was a balance of payment problem for the already deteriorating economy. The man who chastised Nkrumah for borrowing to implement his projects, publicly accepted that external support (borrowing) was necessary to support government. That was automatic acknowledgement of failure. It was clear that the exchange rate policy of the administration would not have been necessary if the economic managers had walked the path of Nkrumah. By 1971, our debt had further inflated by US 72 million in accrued interest payments and US$296 million in short term commercial credit and huge internal debt fueled inflation. The Busia government resorted to the introduction of austerity measures which affected the middle class and salaried workers. President Akufo-Addo and his Npp in opposition, described borrowing to implement government projects as politically sinful and promised will not borrow for government projects if voted to lead Ghana since all the money and resources needed for the projects were sitting here in Ghana. Within two years the Akufo Addo government has borrowed more than Ghc$60 billion but cannot point to a single major project implemented from the amount borrowed. Ghana’s debt now stands at Ghc$172 billion minus funds taken from specials funds including the Getfund. Exim Bank, stabilisation levy etc established by the Mahama administration which were vehemently condemned by the Npp have become the supporting pillars of their government. Investments the previous administration made in the gas and oil sectors culminated in the projection by the world bank that the Ghanaian economy will grow by 8+ percent between 2017-18. Most of the investments the previous made which triggered this positive indicators were condemned by Akufo Addo and his party and described them as wasteful ventures. Busia and his colleagues condemned the trust schools project and questioned why Nkrumah built modern schools in the rural areas same way Prof Adei and few hypocrites questioned why Mahama built his community day secondary schools in some rural enclaves. Mahama, had to replace and repair all the obsolete legacies he inherited including the decades old power problem, the ports and railways, the bad roads, the hospitals and schools etc. He did not bus pastors to Akosombo to pray for rains, he focused and real development. But his opponents rubbished his wonderful initiatives. They made so many scary promises just like their forebears and incited Ghanaians against the Mahama administration. They collaborated with some NDC elements just like they did to Nkrumah to remove him from office. This time, the sophisticated weapons they used to stage their coup was the lies they told Ghanaians about Mahama, the promises, manipulation of the results etc. Nkrumah was described as a dictator by the UP elements. Busia was seen as a true democrat. Akufo Addo enjoyed same respect prior to 2017. Because of his past political activities people mistakenly branded him a democrat. Busia who was seen as a true democrat, could not hold his chest with the judges in the famous Sallah case when he openly accused the judges of bias and partiality against his government. His “no court can enforce any decision that seek to compel the government to employ or deploy” statement exposed what he truly represented. Busia who expressed his support for the existence of a free and independent Labour movement, repealed the compulsory TUC membership policy for civil servants which led to the TUC reduced in number from 700,000 to 300,000. He sacked those who condemned his decisions, sacked editors of State newspapers who refused to succumb to his whims and caprices. We witnessing same trend under Akufo Addo, he promised the nurses, doctors, teachers, the unemployed, heaven only to make their situation worse. 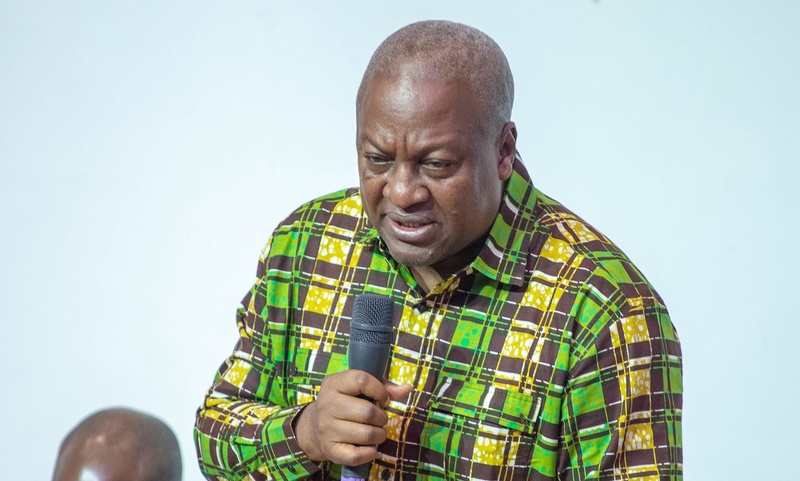 The man who accused Mahama of presiding over a corrupt regime and described himself as incorruptible, is rated among the most corrupt presidents in the world. Nkrumah prosecuted and sacked officials of his government who involved themselves in corrupt deals. Busia who accused Nkrumah and his ministers of corruption, shielded corrupt officials in his government and dealt ruthlessly with newspaper editors and people who exposed corruption in his government. When Acheampong took over his government decided to restore the name of Nkrumah, obliterated from public buildings in 1966, to a number of monuments in Ghana a a marked respect to the memory of the architect and founder of Ghana. Tema Motorway, the State House Complex etc were to be named after Nkrumah. The Achie Casely Hayford committee which was established by the National Redemption Council made other recommendations including repatriation of Madam Fathia and her Children to Ghana at the public expense and allocated rent free accommodation.